Yorktown VA though the historical village of Yorktown, Virginia spans only a little over half a square mile of land, surrounding York County boasts an expansive 216 square miles along the Virginia Peninsula. Bordering the York River, waterfront property includes a number of tributaries, creeks, and natural wetlands. Yorktown VA is part of the famed Historic Triangle, also including Jamestown and Williamsburg, and its history dates back to colonial settlement over 400 years ago. 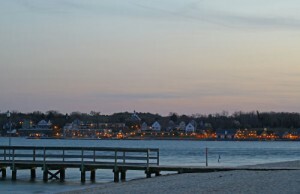 Yorktown is home to military installations of the Naval Weapons Station Yorktown and a US Coast Guard Training Center. 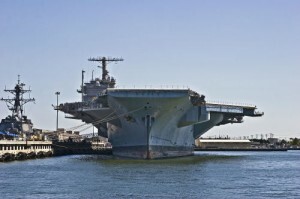 This military presence, as well as a strategic location controlling upstream access to the Chesapeake Bay, has led to a flourishing economy revolving around shipbuilding, military centers, and support businesses. The area’s historic ties, including prominent Revolutionary and Civil War Battlefields has also led to a grand tourism economy, including nearby Great Wolf Lodge. A well-educated work force and a lower than average unemployment rate has helped put York County VA on the list of the most affluent counties in the Hampton Roads Region, with a median household income listed at over $68,000. York County’s ideal location near ports, railroads, and interstate hubs, paired with the county’s Business Improvement Zone program has led to dramatic economic growth and an unbeatable quality of life. Residents can enjoy the benefits of stable employment as well as the area’s natural beauty and cultural prominence. Yorktown boasts a low crime rate, affordable housing, and world-class attractions. Enjoy teeing-off at any number of golf courses exemplifying coastal Virginia’s manicured landscapes and glistening water vistas. A temperate climate means that over 200 miles of coastline can be enjoyed year-round. Ample green space, a superior educational system, and low crime rates also make this an ideal location to raise a family. Art galleries, museums, and other entertainment options allow for endless opportunities to enjoy the community. Browse boutique shops, sample fine cuisine, or stroll along the water at Riverwalk Landing. Re-live the American Revolution by visiting the Yorktown Victory Center. Tour the site of the last Revolutionary War battle at Yorktown Battlefield, where you can take a short stroll to Yorktown Virginia National Cemetery or venture out for a longer journey down 7-mile Battlefield Tour Road, or 9-mile Encampment Tour Road. Though you can view the self-guided tour from the comfort of your vehicle, trails are also available for hiking, jogging, and biking and are connected to the Newport News park trail system. For a wonderful day of relaxation, visit Yorktown Beach, with 2 acres of family-friendly beachfront or sail along the splendid York River in a Tall Ship. The list of things to do in Yorktown VA is surely long enough to entice any visitor to make their stay permanent. Though median list prices are in the $300k’s, starter Yorktown VA homes and fixer-uppers are available in a much more modest range. Yorktown VA Waterfront properties with views of the York River are available starting around $150k, and go up to over $1M for gorgeous and elaborate riverview estates with all the amenities. YorktownVA Condos are available in modern, updated complexes and start at around $100k. Those with updated kitchens, glamourous lobbies, and ornate courtyards can be found around the $300k mark. Though secluded creekside manors are listed at over $1.5M, stunning and spacious Yorktown VA homes are the norm and are mostly listed in the mid-$200k’s. Historic Yorktown Village features brick apartment style Yorktown VA properties as well as gorgeous single-family colonials both historic and newer constructions. In surrounding York County, a number of communities provide any range of architecture and a range from quaint suburban appeal to an urban city pace. The neighborhood of Grafton offers a wide range of modest townhomes and single-family properties. With its incredible military concentration, Yorktown VA and the surrounding Hampton Roads region is known for welcoming and accommodating soldiers and their families. Still, relocating is often a difficult process. Let Stone Realty help by making your transition a bit easier. Regardless of whether you’re searching for the perfect Yorktown home to raise a family, or to settle down in the lap of luxury, The Stone Team is here to help you find your perfect Yorktown home. As top Yorktown realtors, The Stone Team has the experience and knowledge of local real estate to provide you with exemplary customer service. Let them find you a Yorktown VA property that will fit your dreams, specifications, and fits within your unique budget. As the market recovers, Yorktown Home Values are on the rise. This means now is the perfect time to take advantage of low Yorktown VA real estate prices. 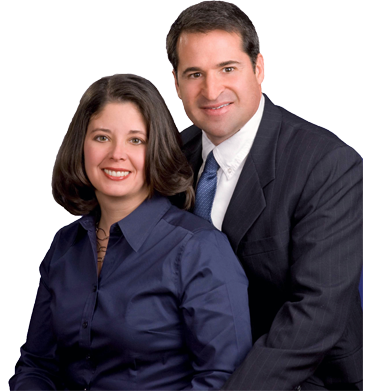 The Stone Team is ready to help you get started on finding your new Yorktown VA home. Get started today by clicking “Yorktown Real Estate Searches” on the top of this page, or give us a call at (757)-565-1043.